3003 aluminum alloy is an alloy widely used, and has good formability, weldability and corrosion resistance. It is used to process parts parts that require good formability, high corrosion resistance, and good weldability. 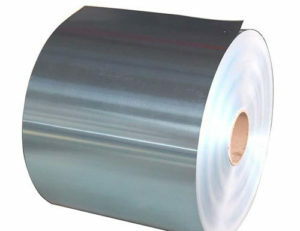 3003 aluminum foil is an aluminum-manganese alloy. It is also known as rust-proof aluminum because it contains manganese and has good rust resistance. 3003 aluminum alloy is not only widely used in aluminum plates, but also widely used in 3003 aluminum foil. 3003 aluminum foil is mainly used for honeycomb core aluminum, electronic foil, tape foil, pharmaceutical packaging foil, packaging aluminum foil and so on. 3003 aluminum foil is a representative product of rust-proof aluminum, it can not be strengthened by heat-treated, so it uses cold processing to improve its mechanical properties. 3003 aluminum foil has good corrosion resistance and good welding performance and is commonly used in electronic aluminum foil. 1.The anti-rust performance of 3003 aluminum foil is outstanding, and the strength is about 10% higher than that of 1100 aluminum plate. The formability, weldability and corrosion resistance are good. 2.haomei aluminium introduced the foil rolling mill and adopted the ANDRITZ plate type roller to provide guarantee for high quality aluminum foil. 3.Strictly control the processing quality of the electronic aluminum foil, the finished product version is flat, no black oil spots, small black silk, bright lines, etc., it can also prevent the occurrence of burrs, flounces, and other factors affecting the quality of slices. The 3003 aluminum foil produced by haomei aluminum has good stamping performance, welding performance and surface quality, and is widely used in the mobile phone battery industry.